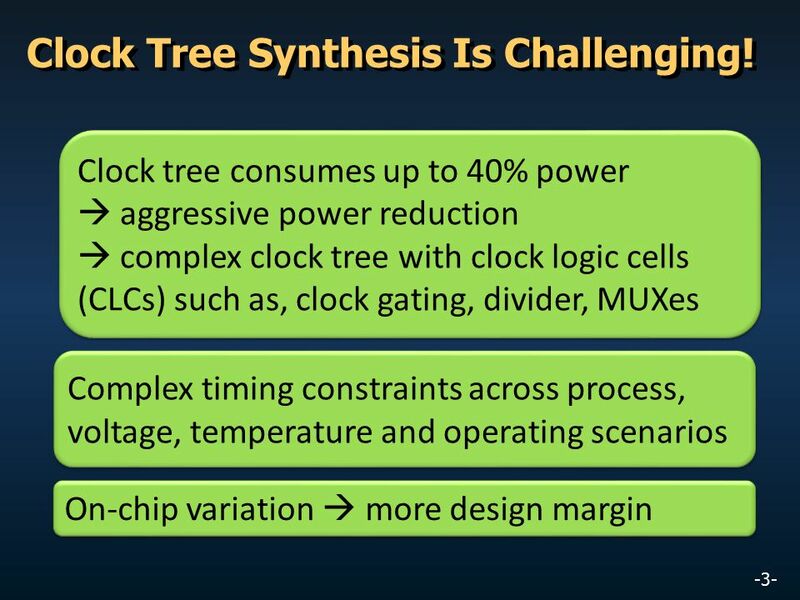 3 Clock Tree Synthesis Is Challenging! 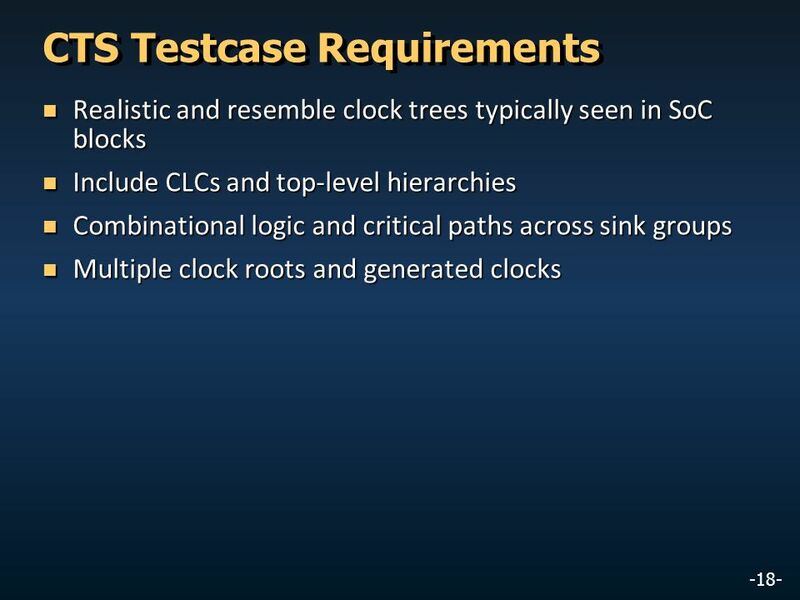 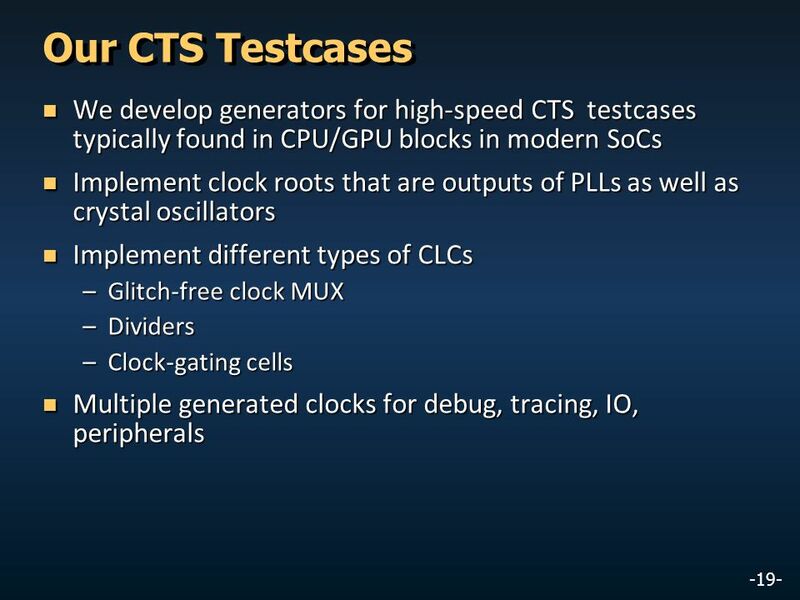 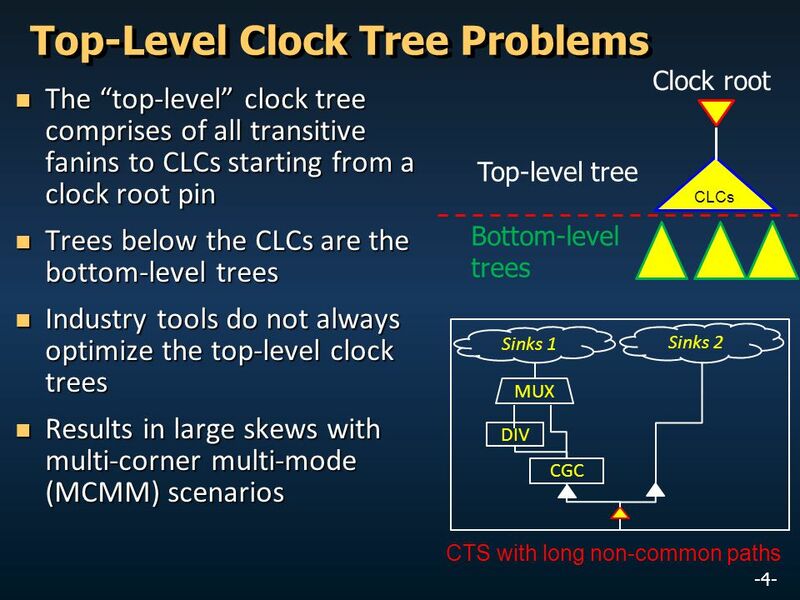 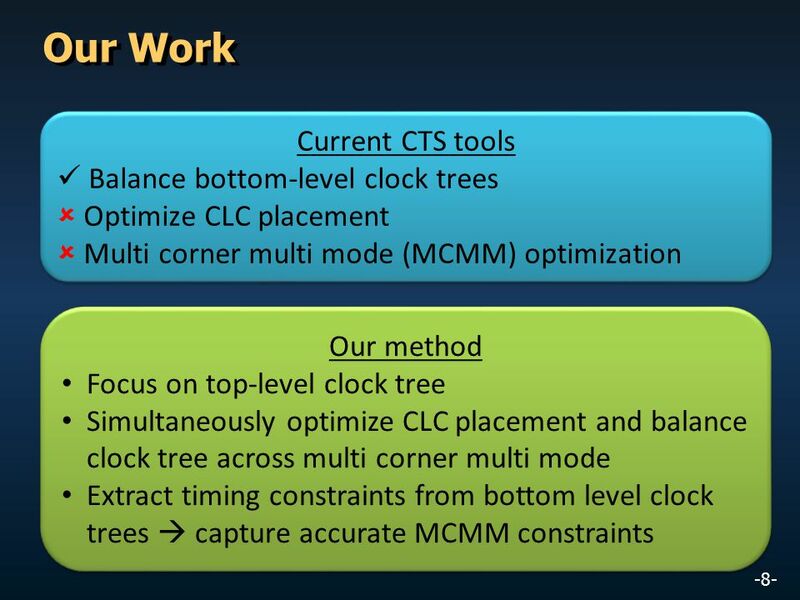 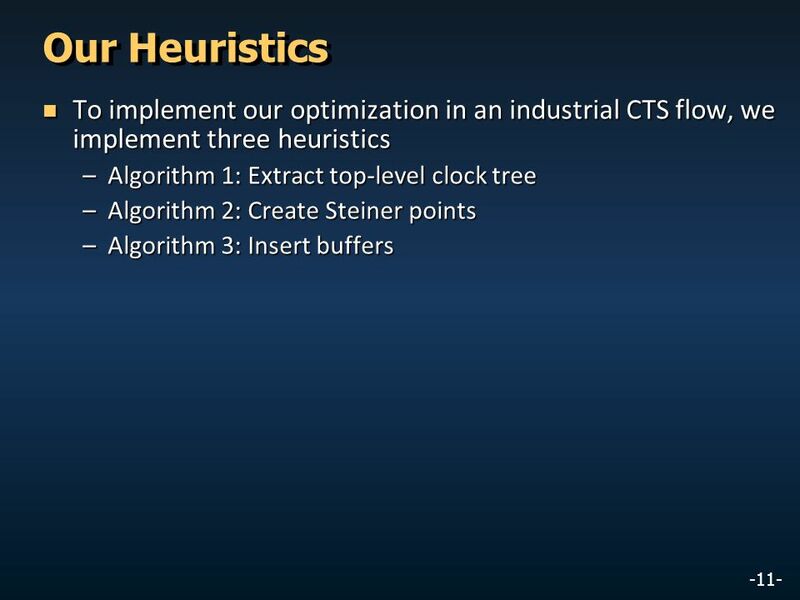 Download ppt "OCV-Aware Top-Level Clock Tree Optimization"
Porosity Aware Buffered Steiner Tree Construction C. Alpert G. Gandham S. Quay IBM Corp M. Hrkic Univ Illinois Chicago J. Hu Texas A&M Univ. 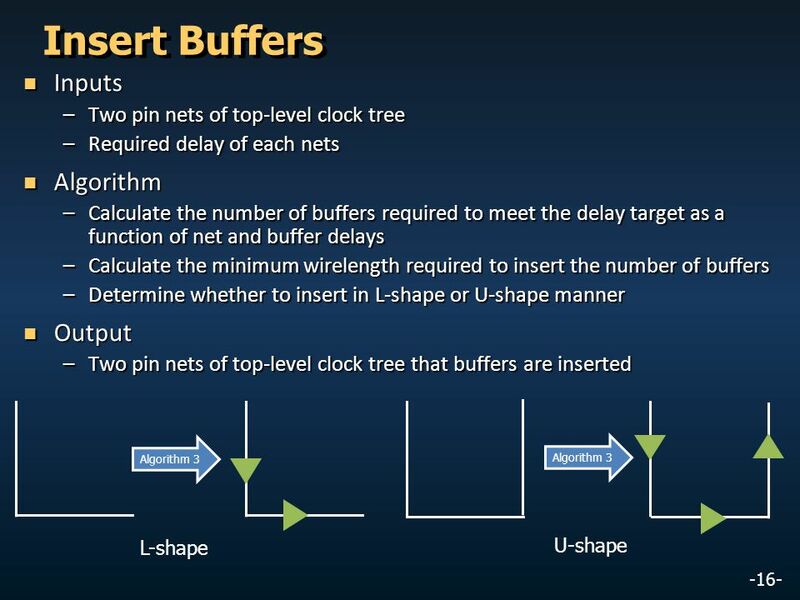 (1/25) UCSD VLSI CAD Laboratory - ISQED10, March. 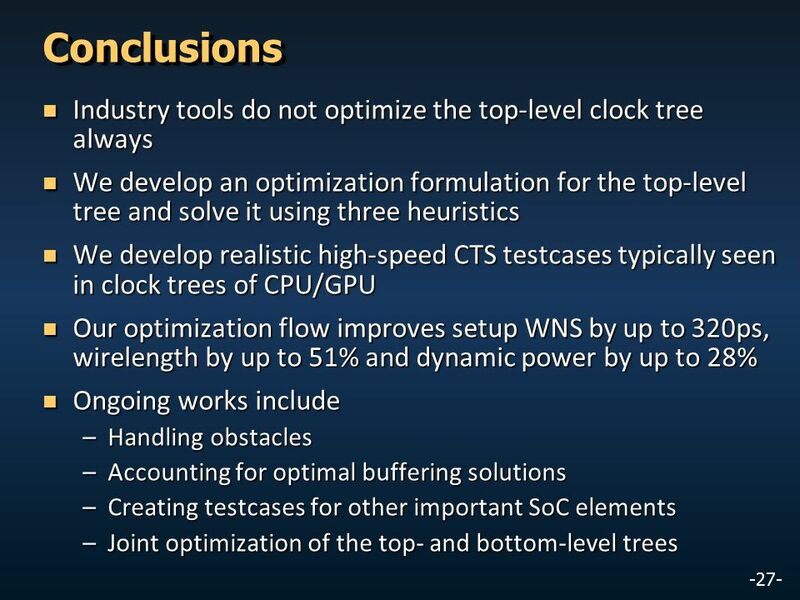 23, 2010 Toward Effective Utilization of Timing Exceptions in Design Optimization Kwangok Jeong, Andrew. 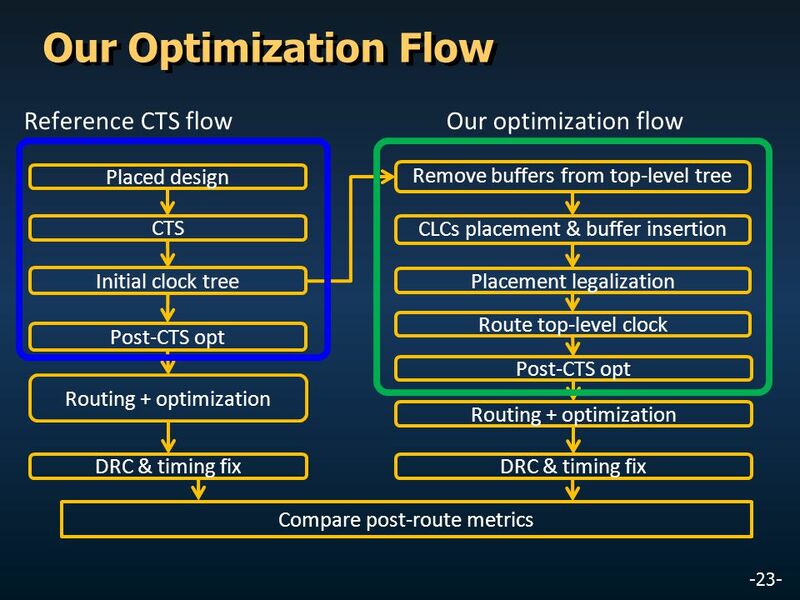 -1- VLSI CAD Laboratory, UC San Diego Post-Routing BEOL Layout Optimization for Improved Time- Dependent Dielectric Breakdown (TDDB) Reliability Tuck-Boon. 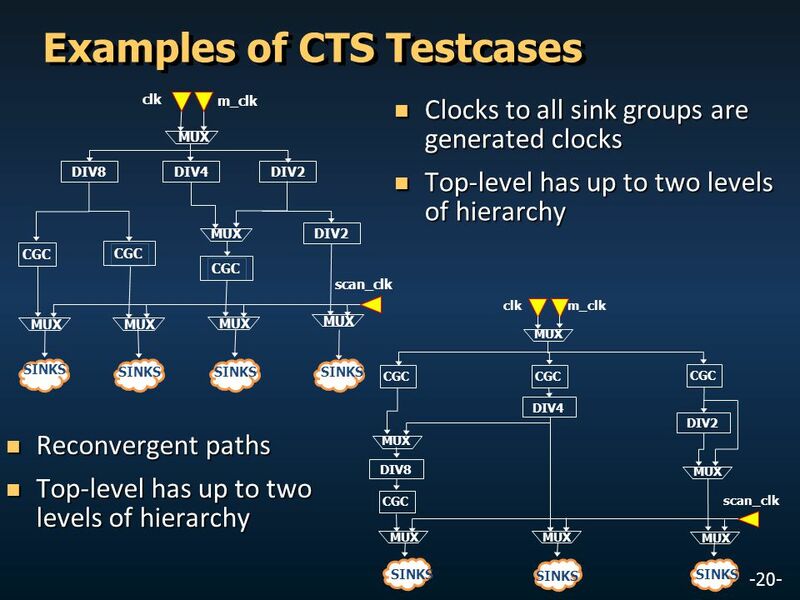 Courtesy RK Brayton (UCB) and A Kuehlmann (Cadence) 1 Logic Synthesis Sequential Synthesis. 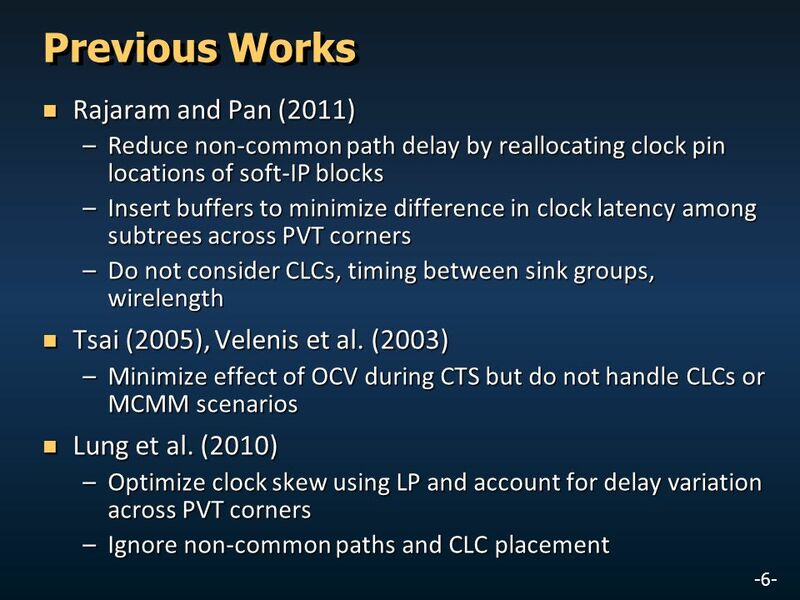 Ispd-2007 Repeater Insertion for Concurrent Setup and Hold Time Violations with Power-Delay Trade-Off Salim Chowdhury John Lillis Sun Microsystems University. 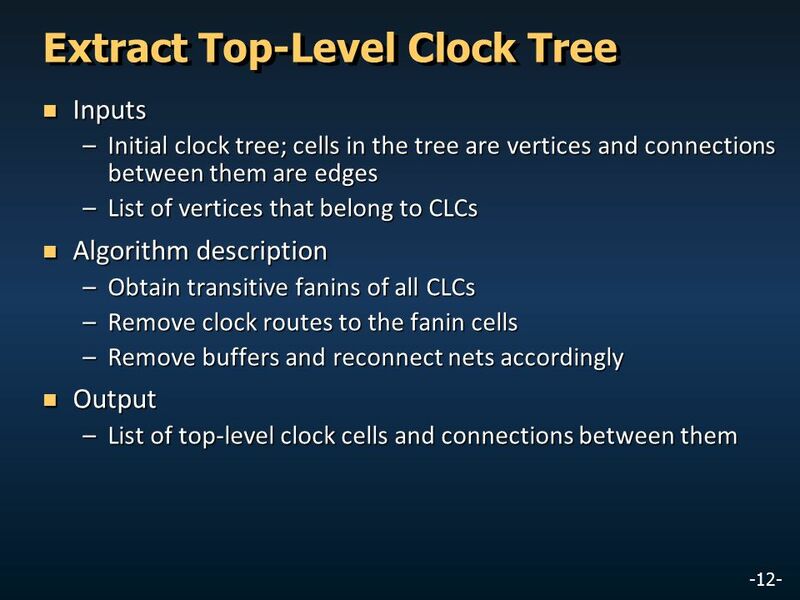 4/22/ Clock Network Synthesis Prof. Shiyan Hu Office: EREC 731. 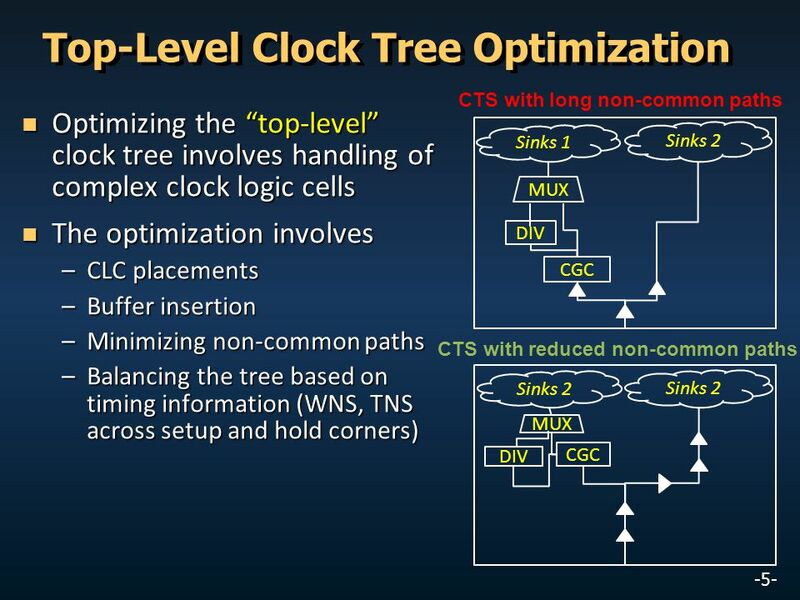 Ch.7 Layout Design Standard Cell Design TAIST ICTES Program VLSI Design Methodology Hiroaki Kunieda Tokyo Institute of Technology. 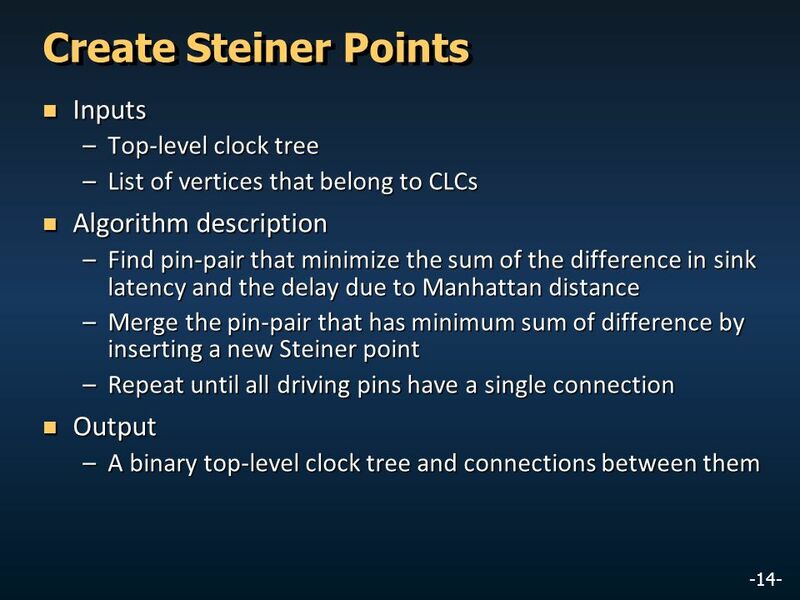 1 Interconnect Layout Optimization by Simultaneous Steiner Tree Construction and Buffer Insertion Presented By Cesare Ferri Takumi Okamoto, Jason Kong. 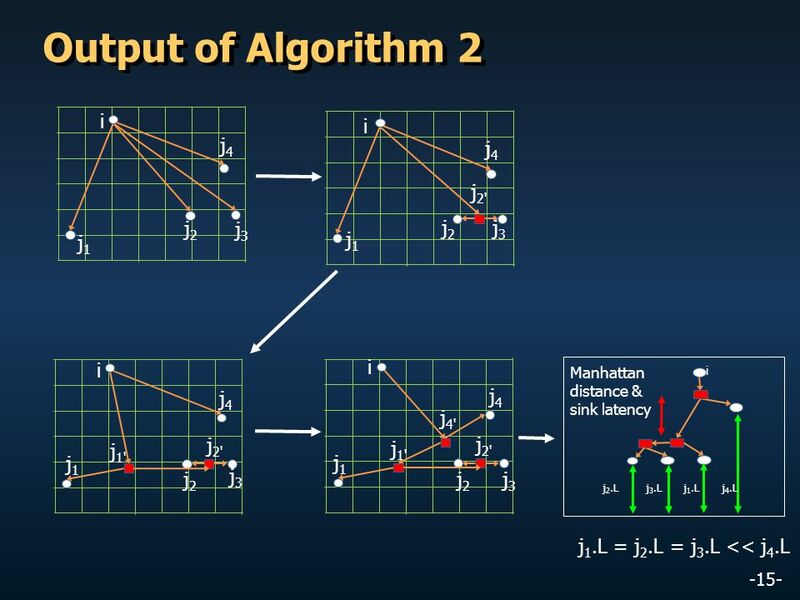 Constructing Minimal Spanning Steiner Trees with Bounded Path Length Presenter : Cheng-Yin Wu, NTUGIEE Some of the Slides in this Presentation are Referenced. 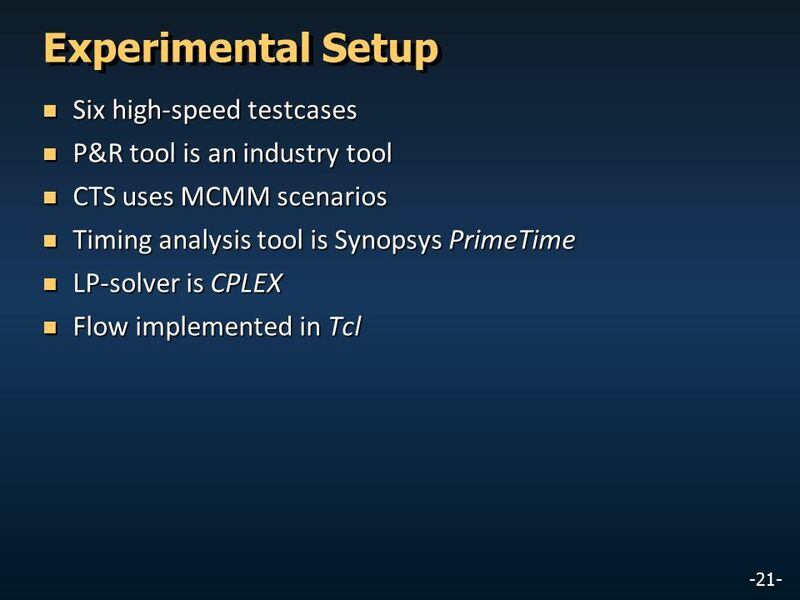 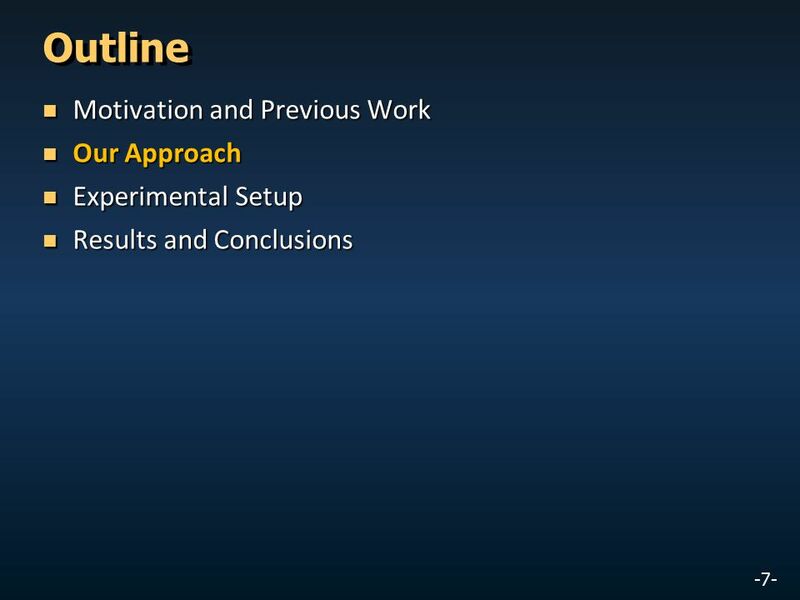 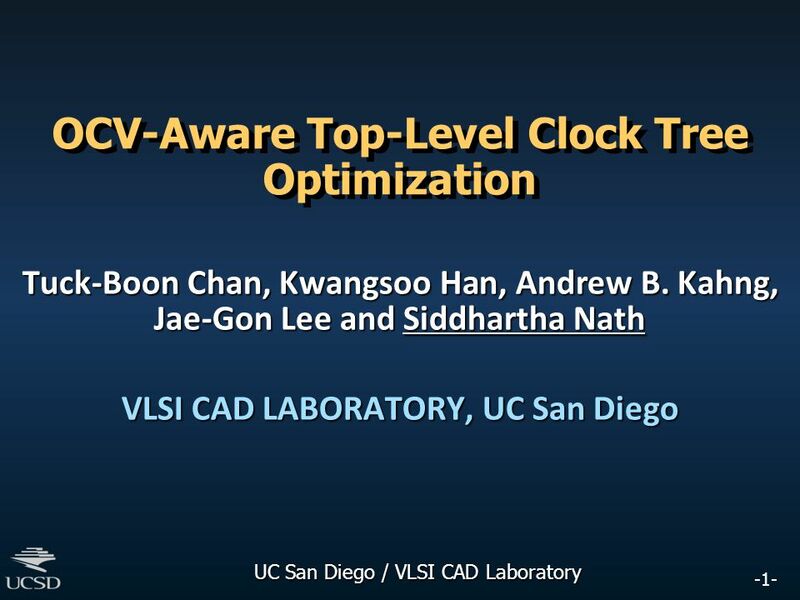 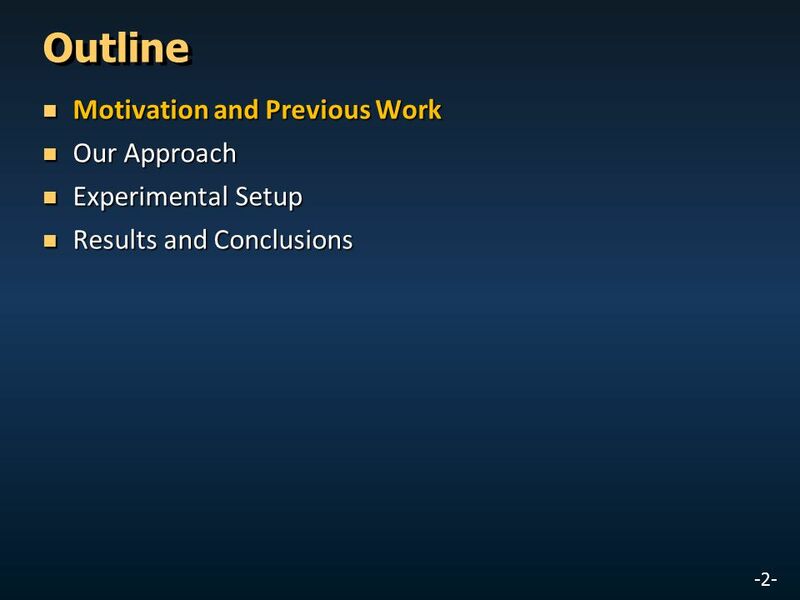 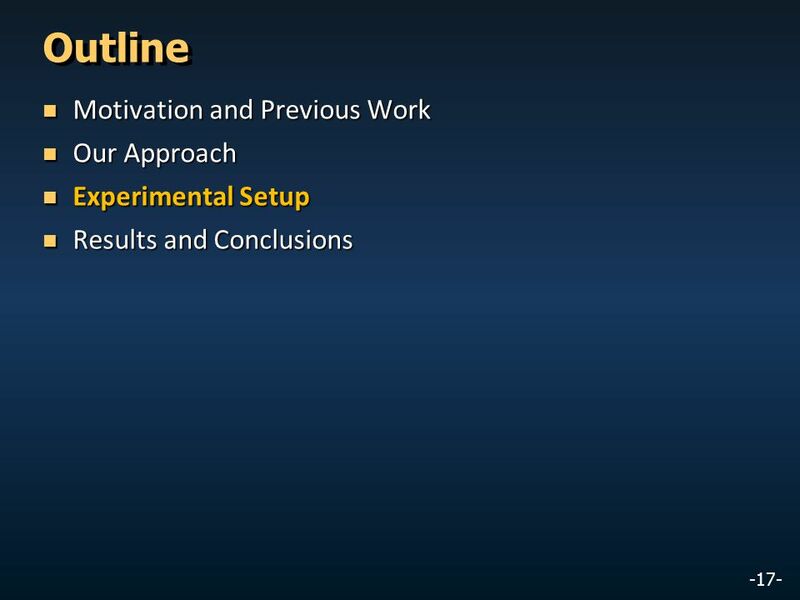 UC San Diego / VLSI CAD Laboratory NOLO: A No-Loop, Predictive Useful Skew Methodology for Improved Timing in IC Implementation Tuck-Boon Chan, Andrew. 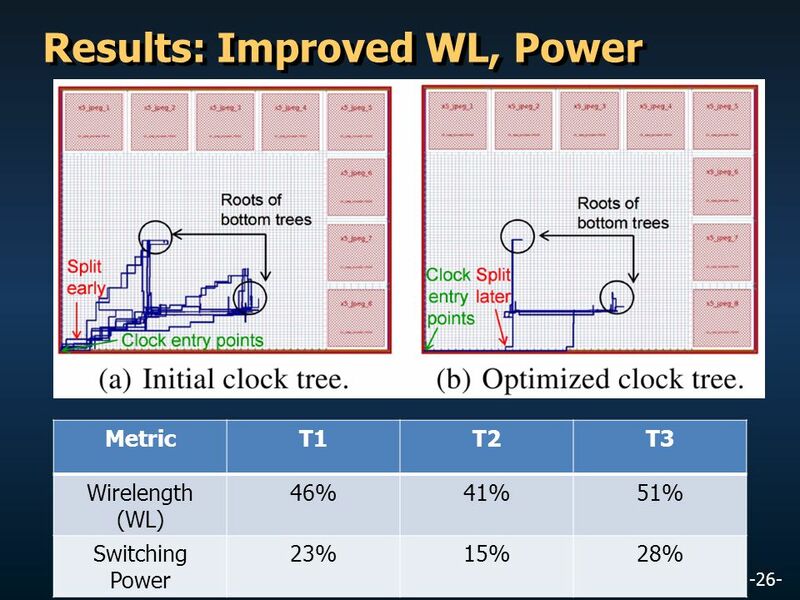 The Cost of Fixing Hold Time Violations in Sub-threshold Circuits Yanqing Zhang, Benton Calhoun University of Virginia Motivation and Background Power. 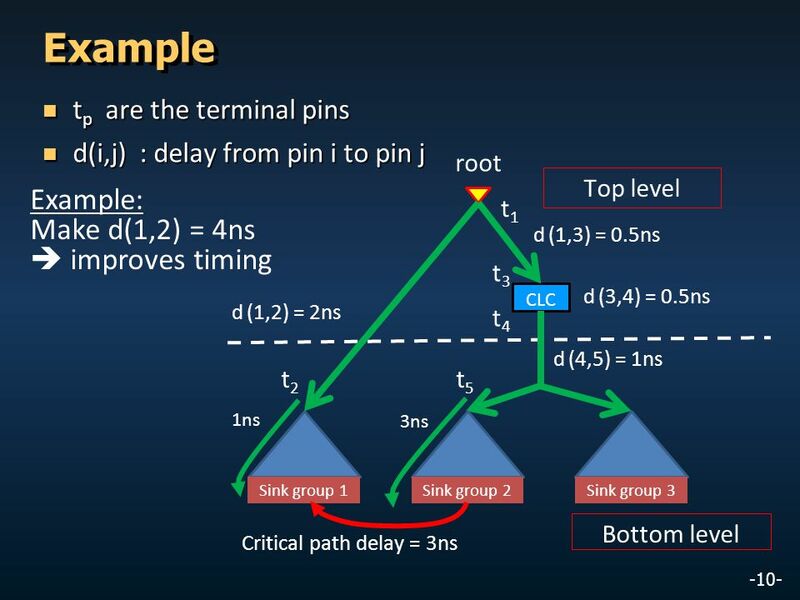 Toward Better Wireload Models in the Presence of Obstacles* Chung-Kuan Cheng, Andrew B. Kahng, Bao Liu and Dirk Stroobandt† UC San Diego CSE Dept. 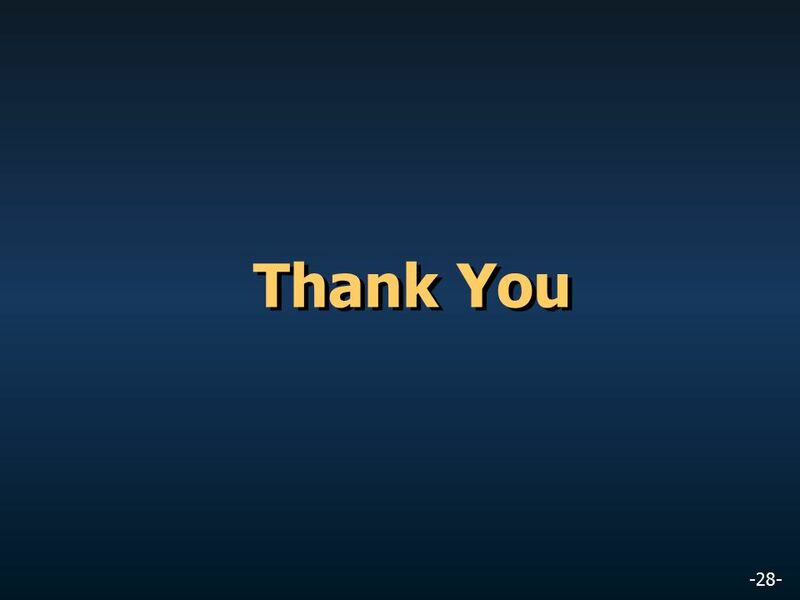 †Ghent. 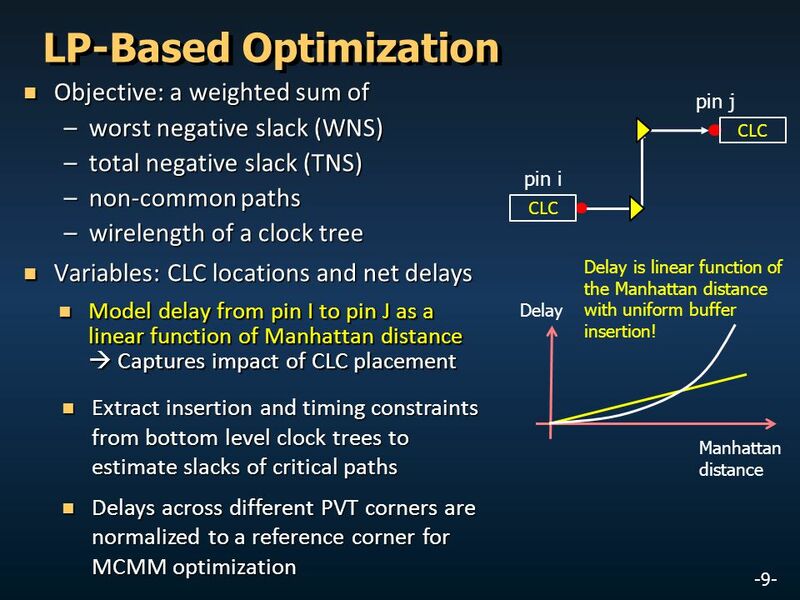 Minimum-Buffered Routing of Non- Critical Nets for Slew Rate and Reliability Control Supported by Cadence Design Systems, Inc. and the MARCO Gigascale. 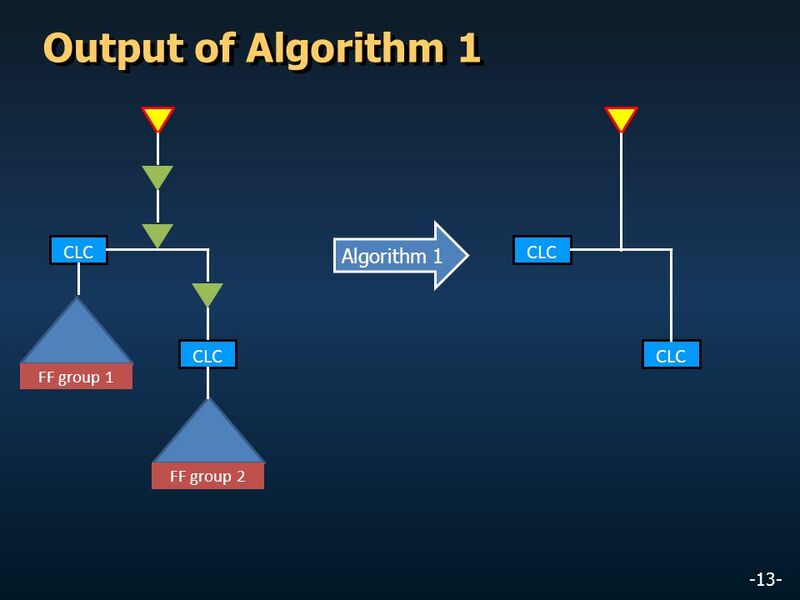 Background: Scan-Based Delay Fault Testing Sequentially apply initialization, launch test vector pairs that differ by 1-bit shift A vector pair induces. 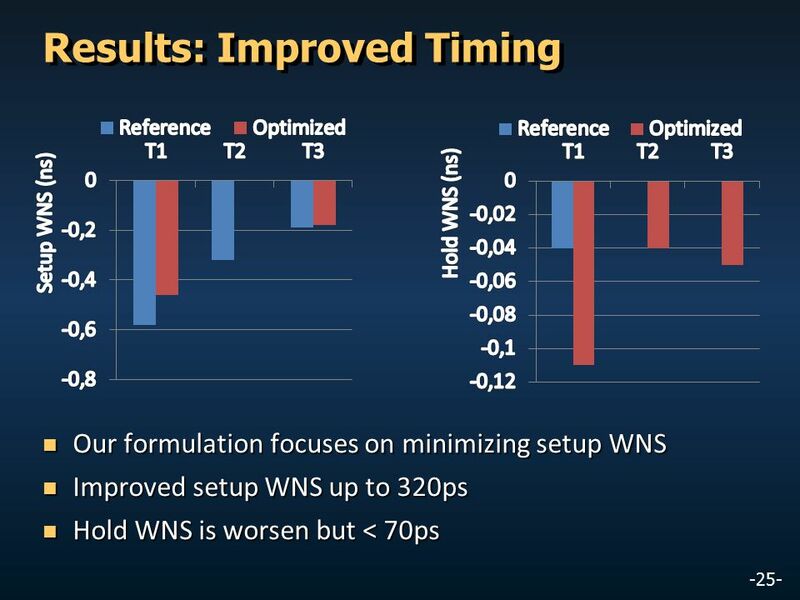 Local Unidirectional Bias for Smooth Cutsize-delay Tradeoff in Performance-driven Partitioning Andrew B. Kahng and Xu Xu UCSD CSE and ECE Depts. 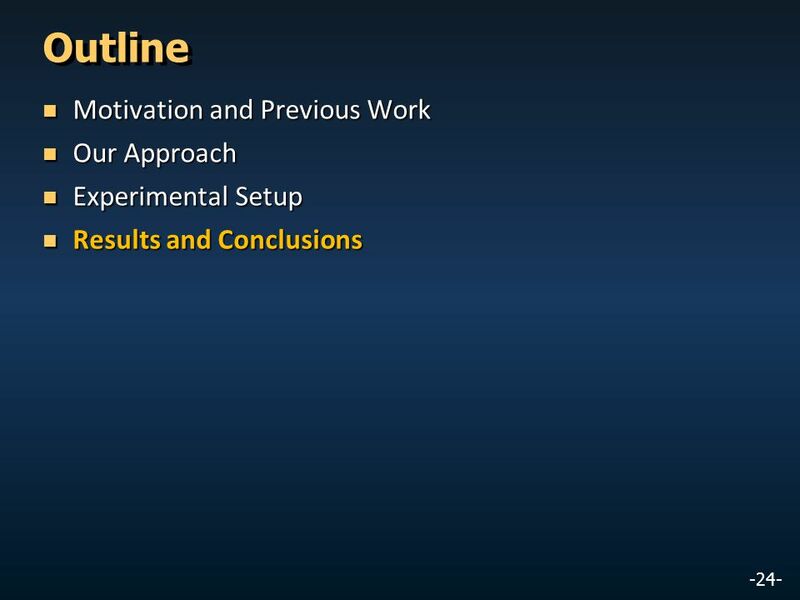 Work supported. 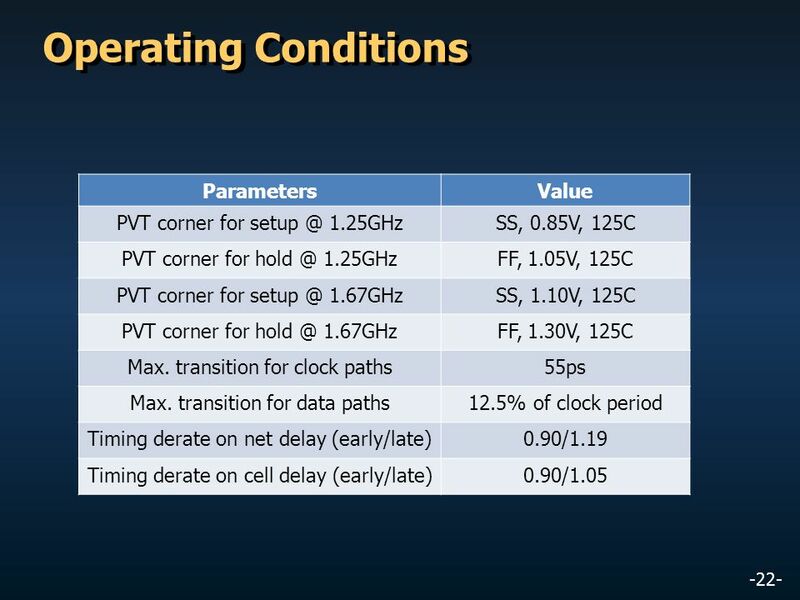 On-Line Adjustable Buffering for Runtime Power Reduction Andrew B. Kahng Ψ Sherief Reda † Puneet Sharma Ψ Ψ University of California, San Diego † Brown.